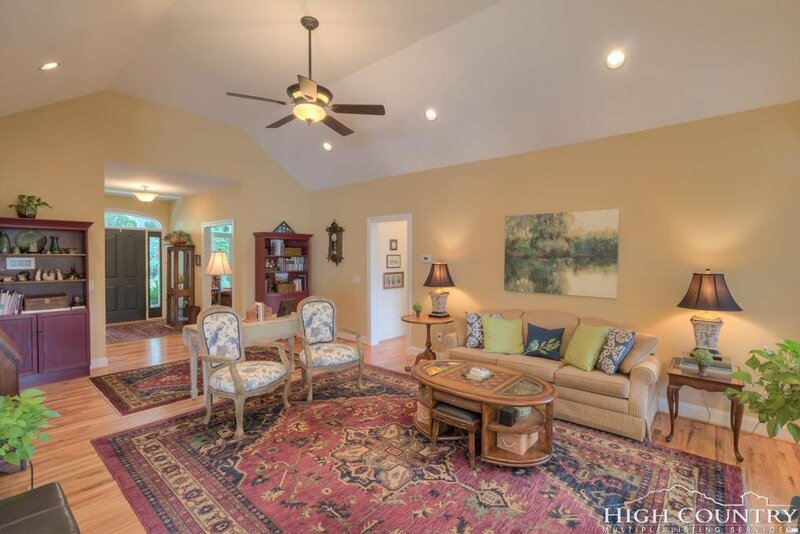 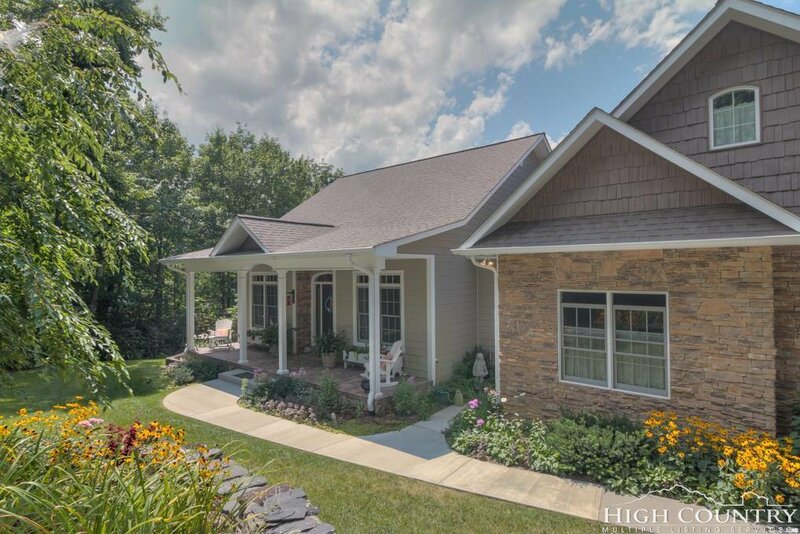 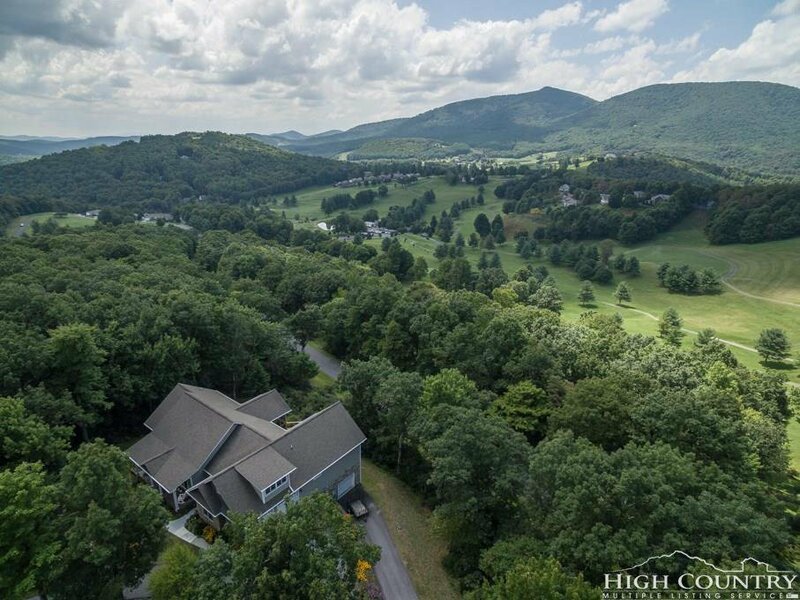 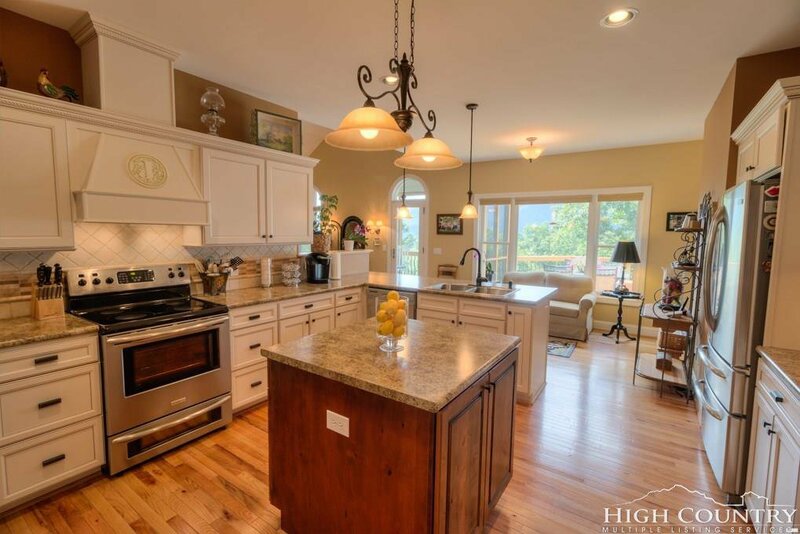 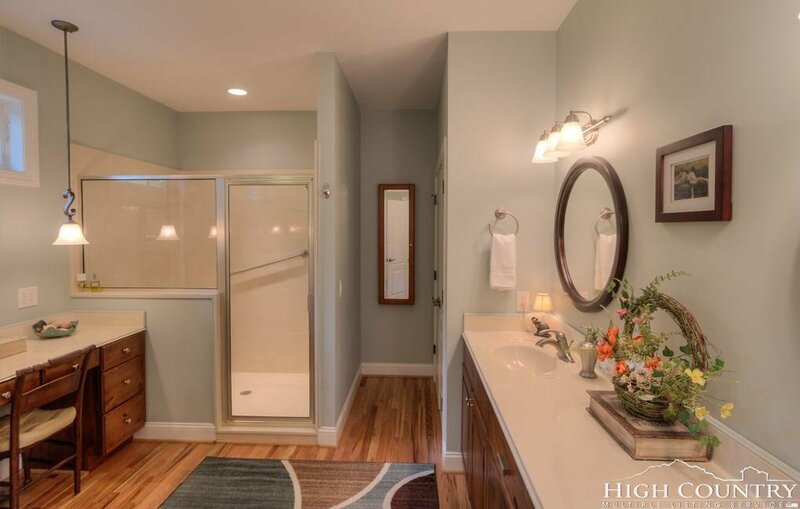 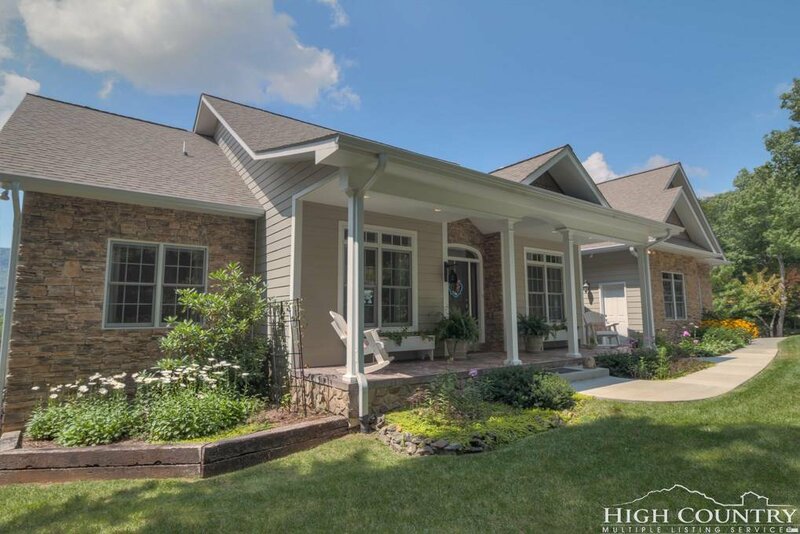 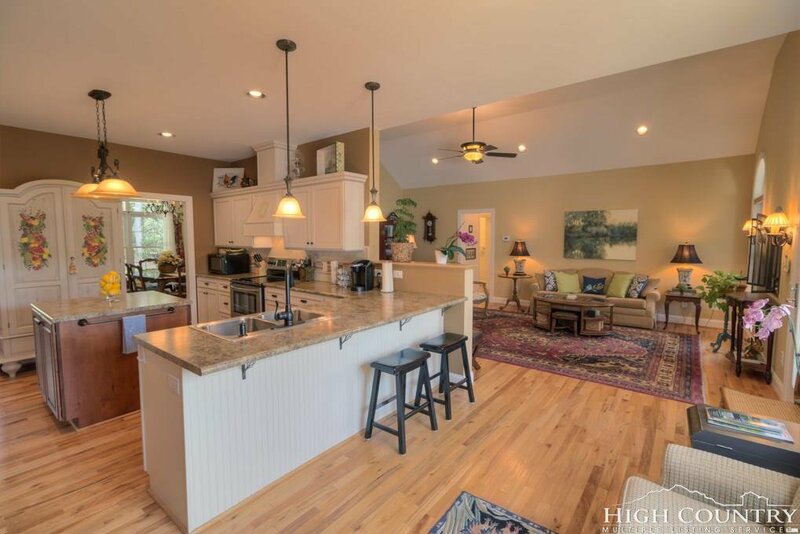 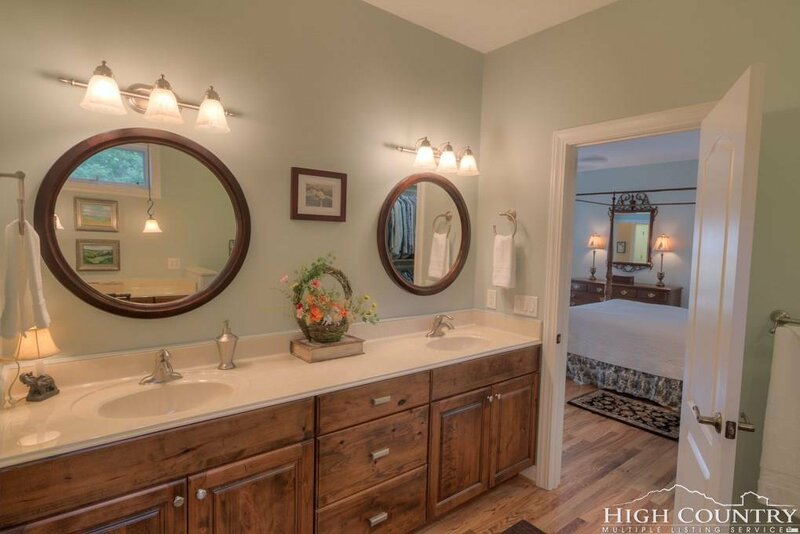 Impressive home in the desirable Fairway Ridge development near West Jefferson. 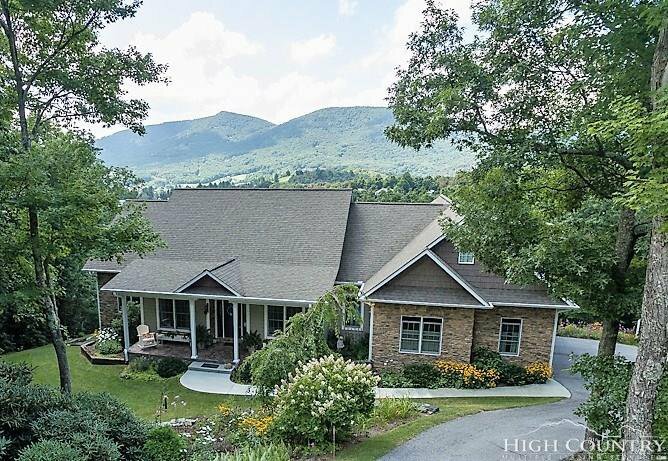 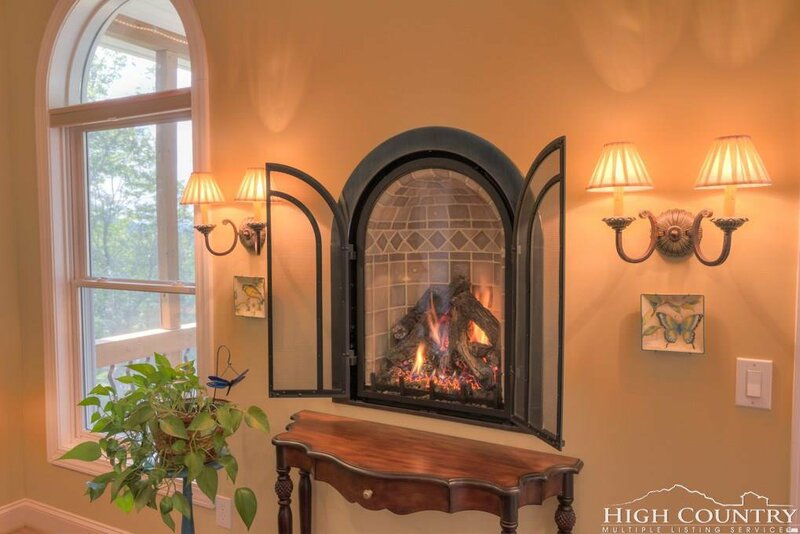 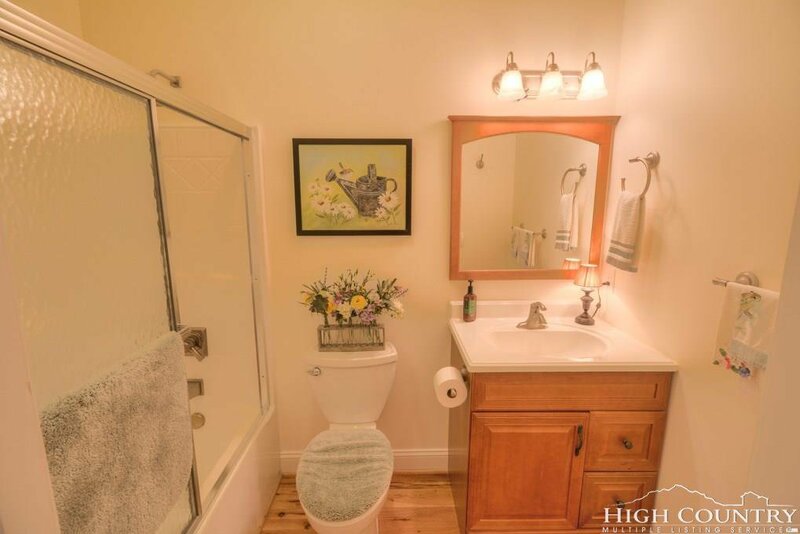 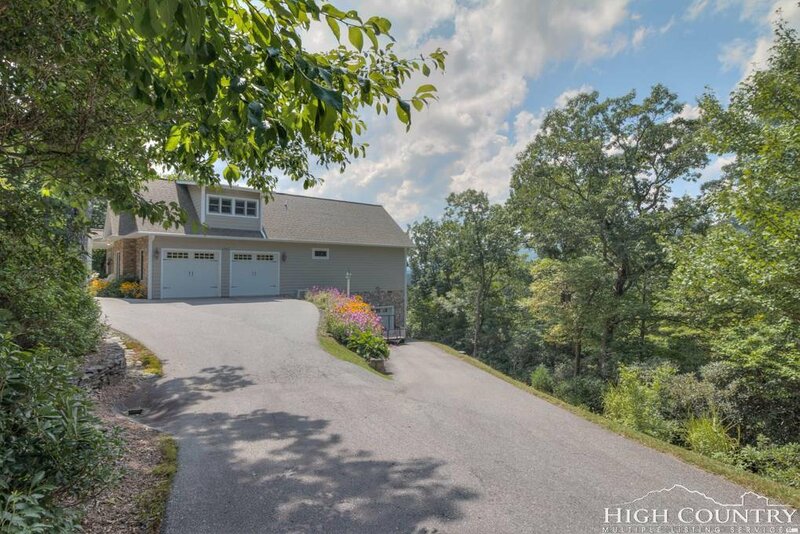 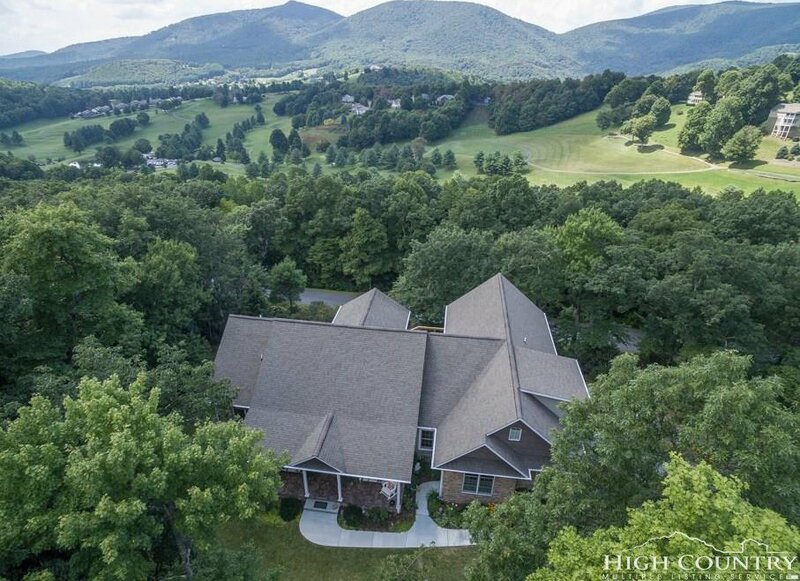 The home is specious and inviting in a lovely setting with big mountain views. 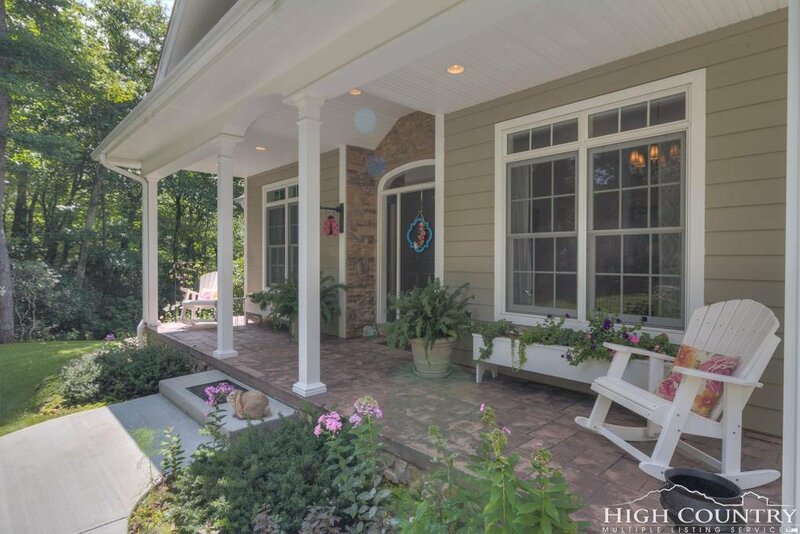 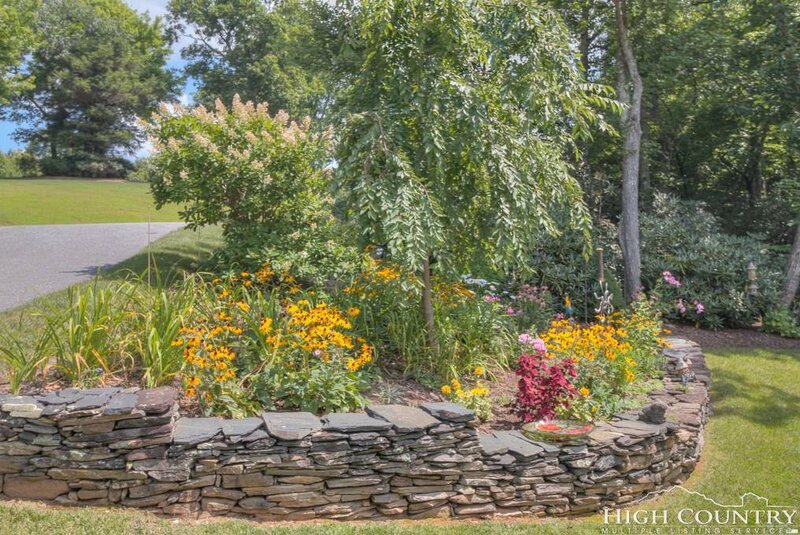 Enjoy the native garden and stone front porch as you enter the home. 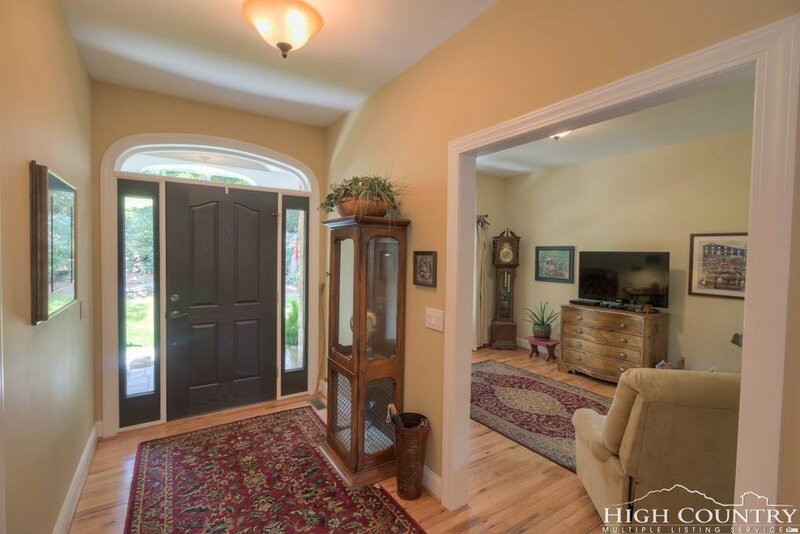 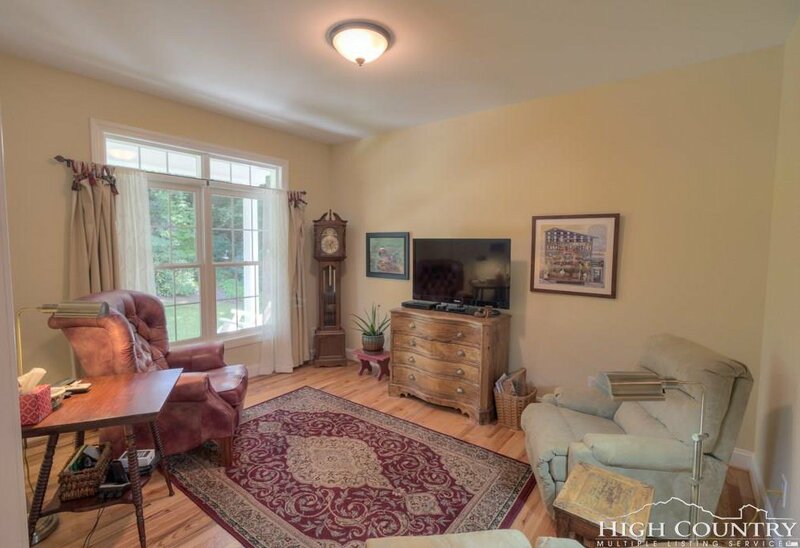 The foyer opens to the living room with vaulted ceilings. 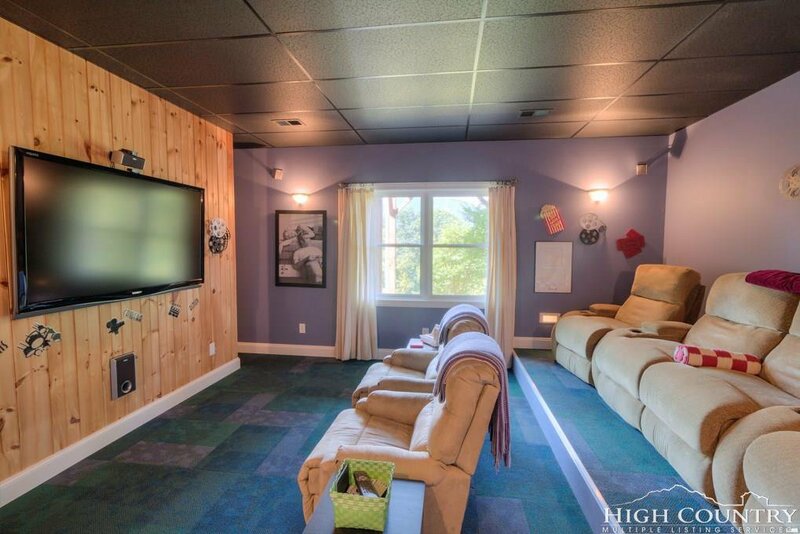 A sitting room is to the left as you enter. 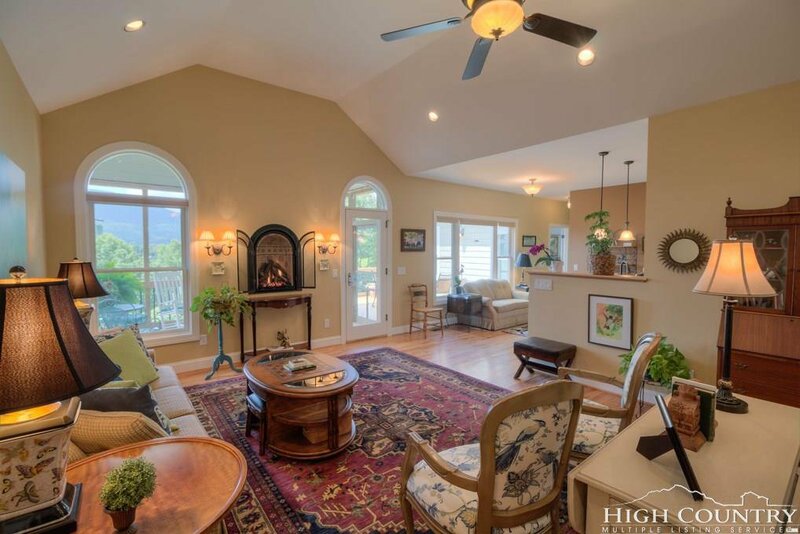 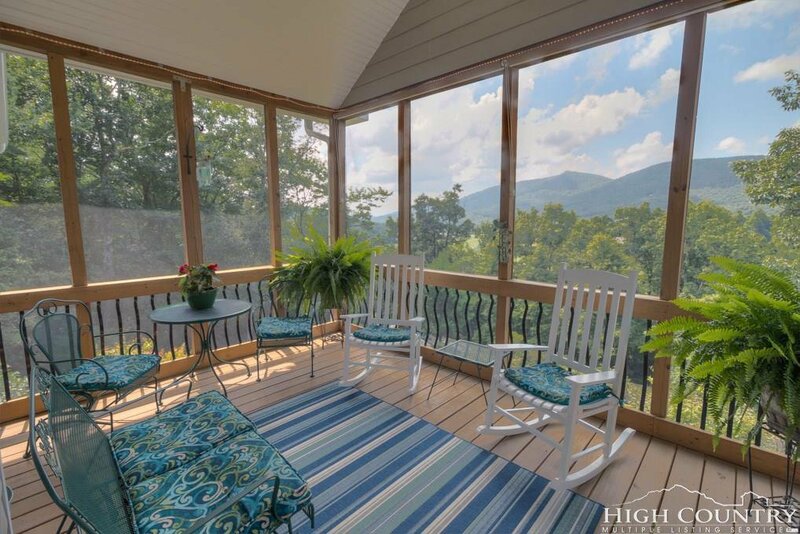 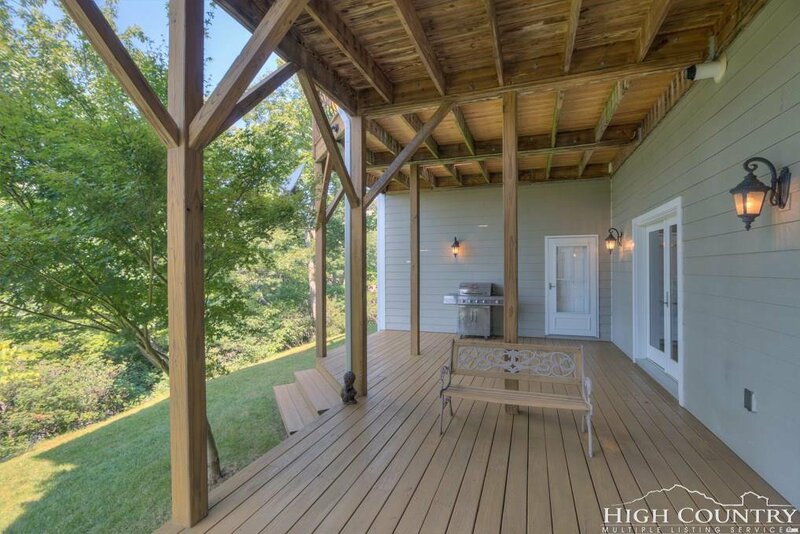 Windows and doors across the back open to the large porches and beautiful mountains beyond. 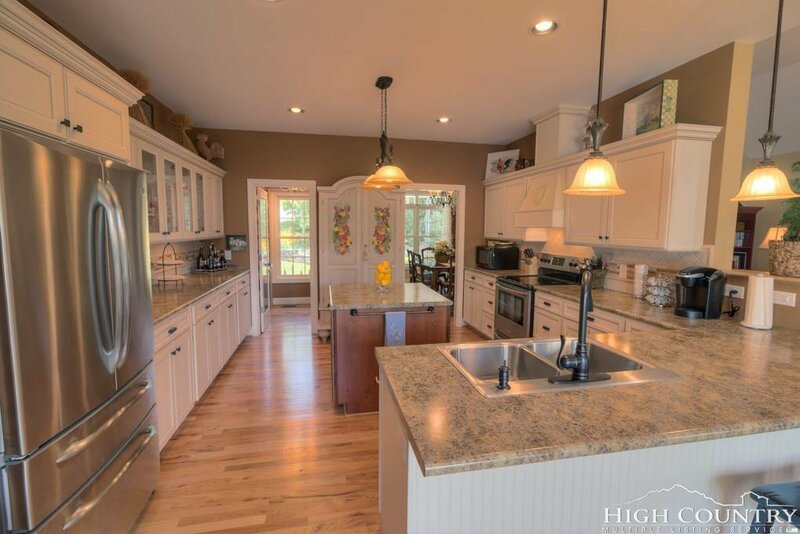 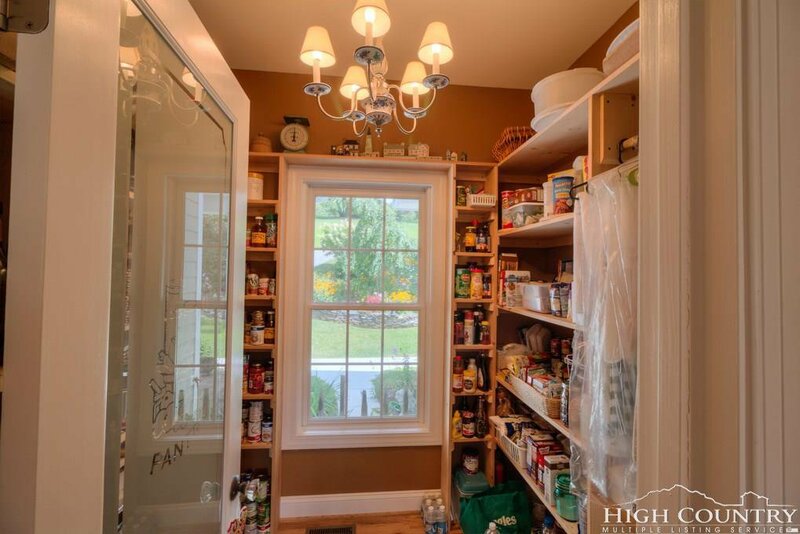 The beautiful kitchen has a center island, eating counter and great pantry. 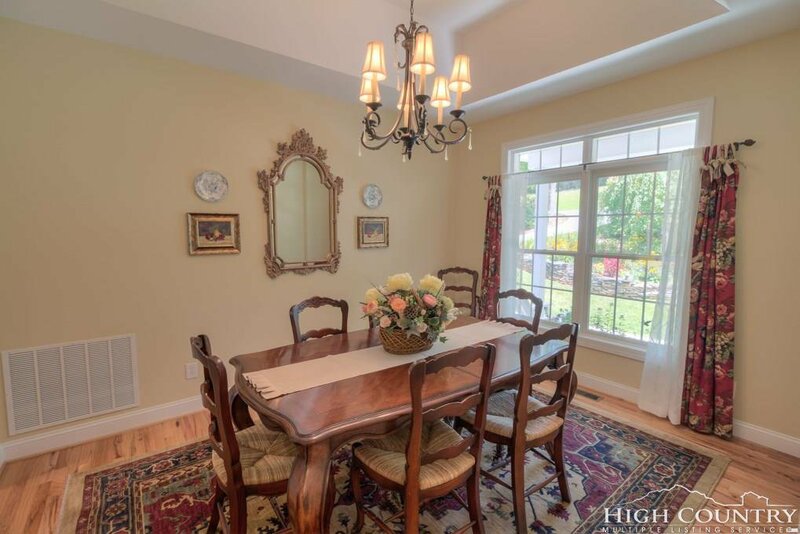 There is a formal dining room. 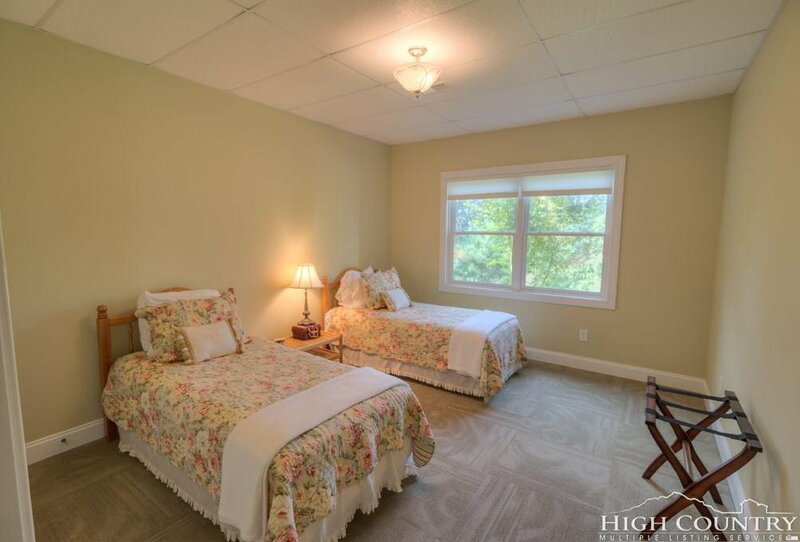 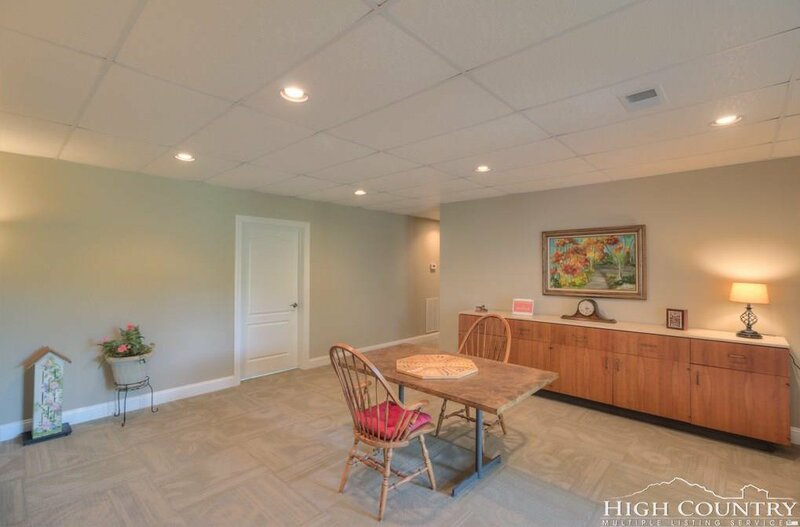 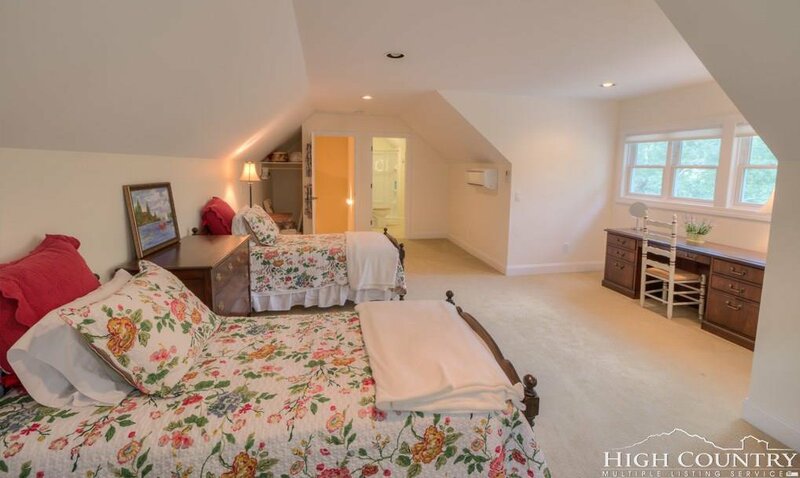 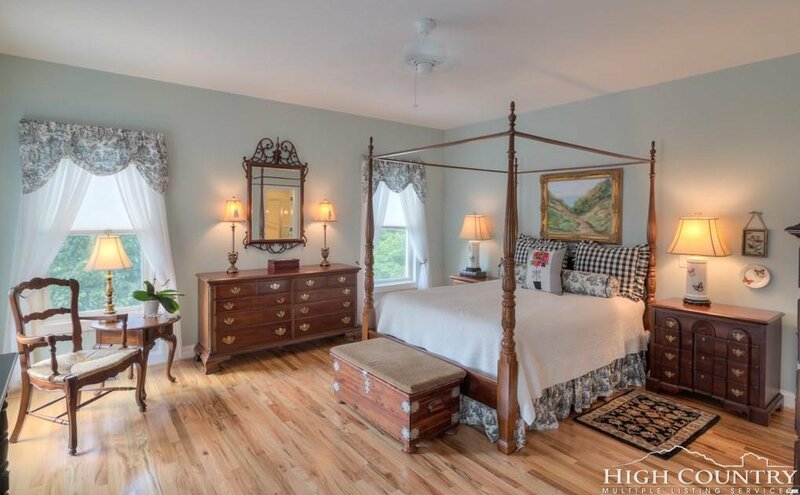 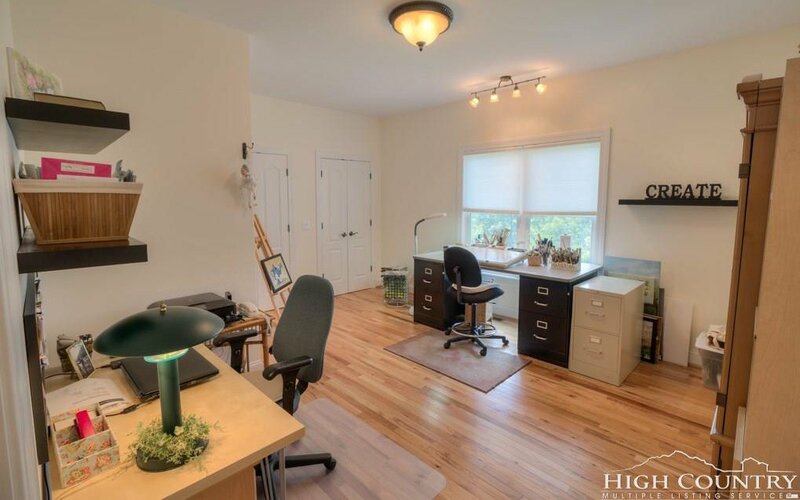 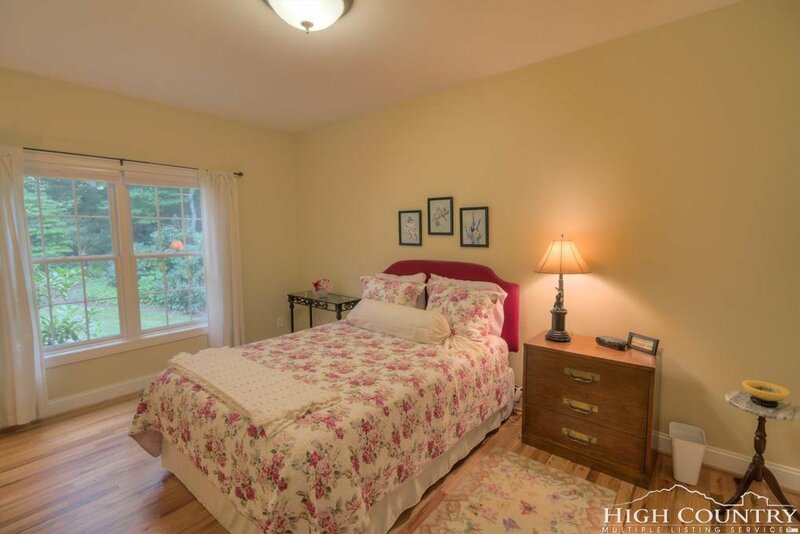 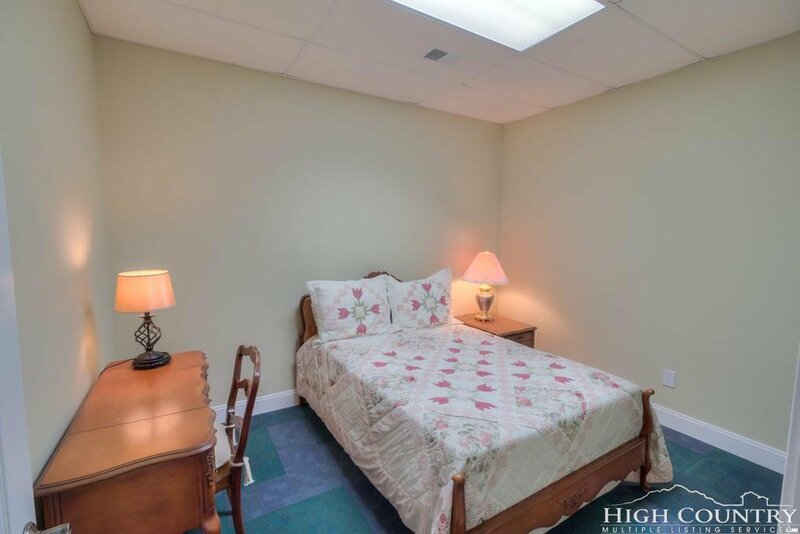 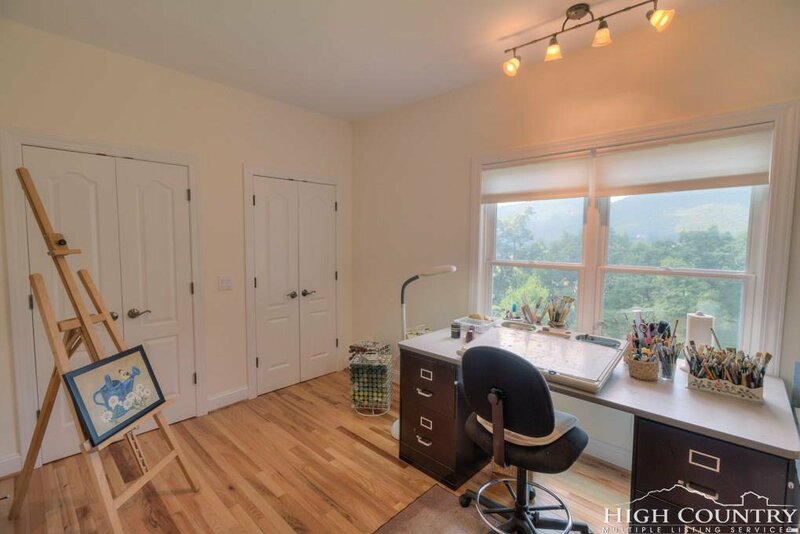 The master suite is on one side of the main floor and the other side includes a bedroom, bath and another large room currently used as an office and art studio. 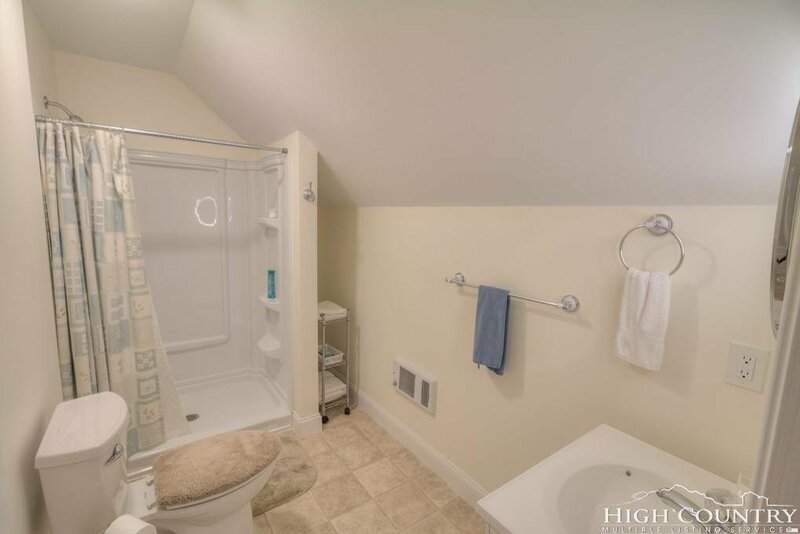 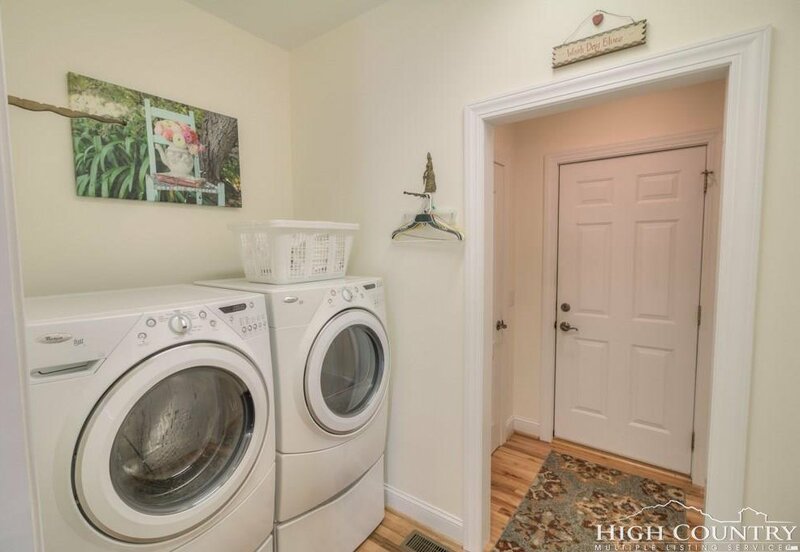 This level also includes the laundry area, so it is one level living if desired. 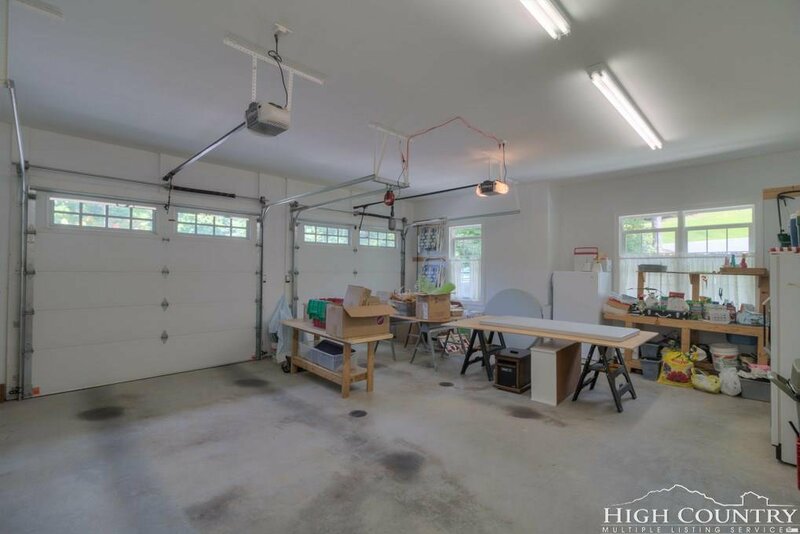 The over sized two car garage enters to this level. 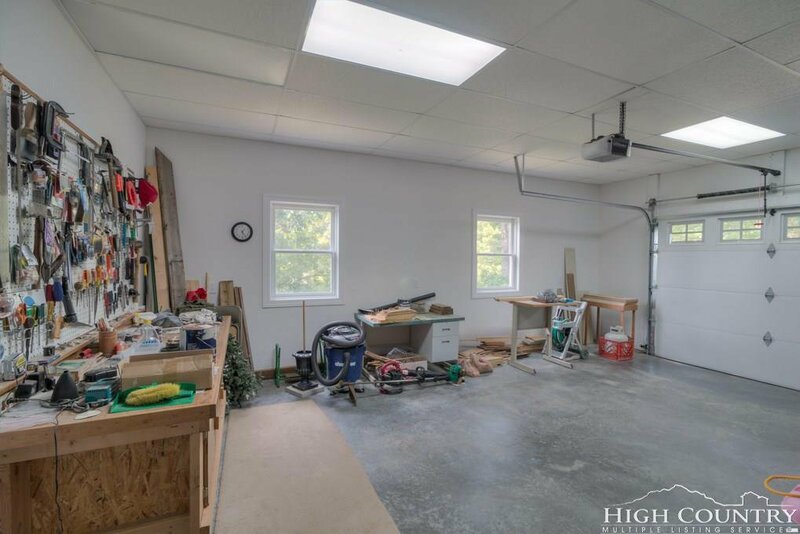 Above the garage is a large living area with a full bath. 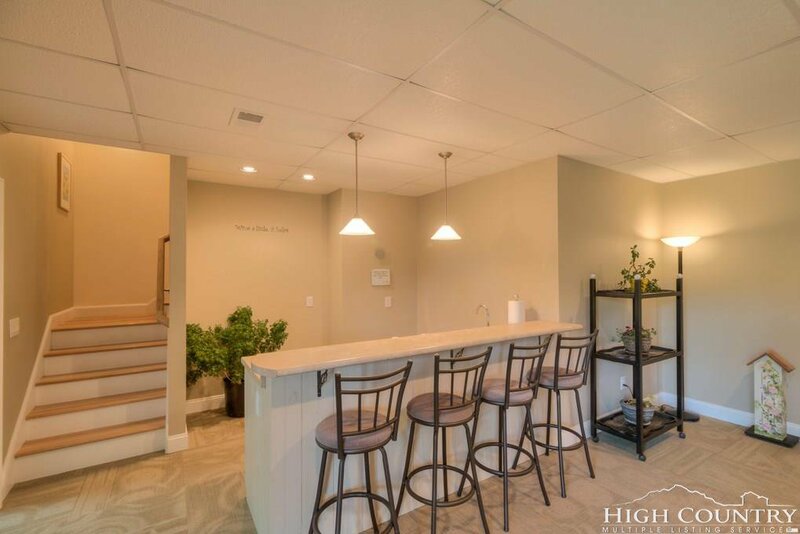 The downstairs offers another large living area with wet bar and a theater room, as well as a bedroom, bath and another bonus room. 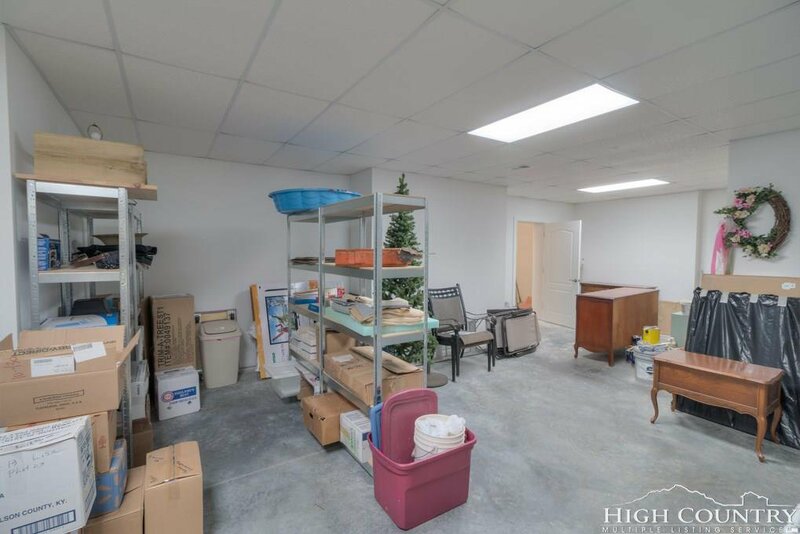 There are two huge storage rooms and another over sized one car garage. 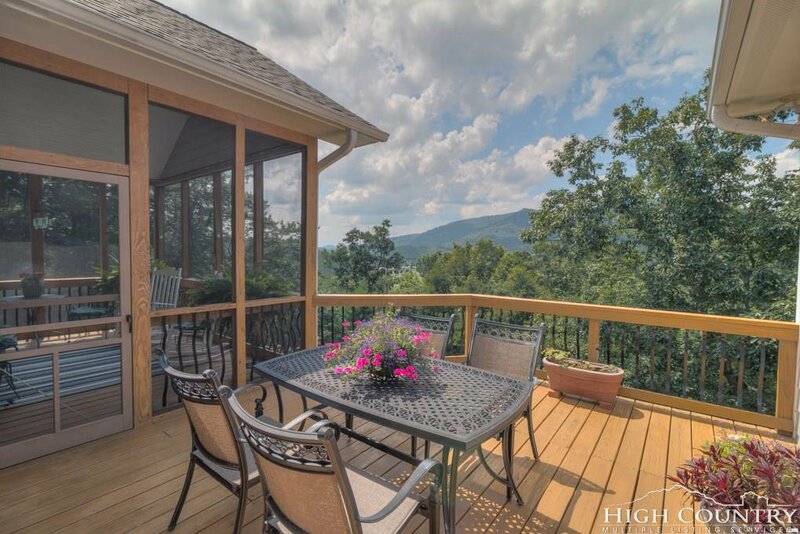 Many decks and porches. 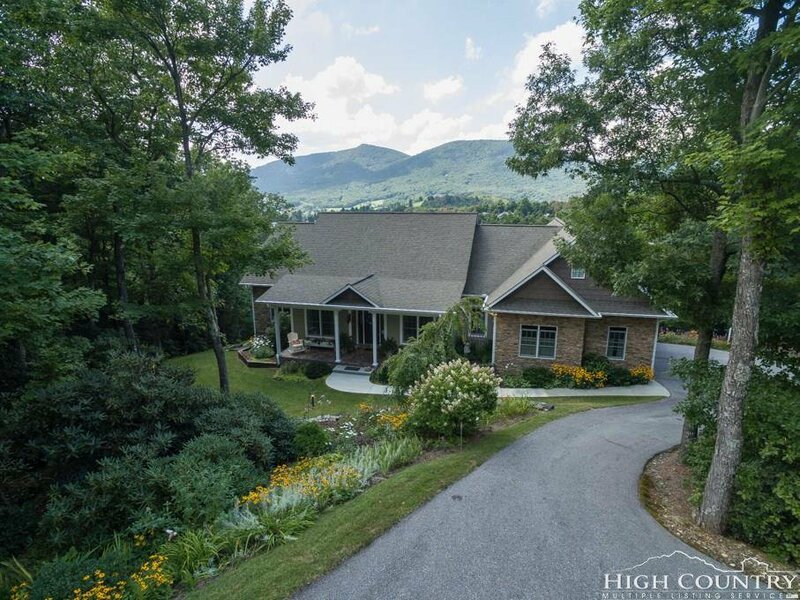 The location is convenient to Boone as well. 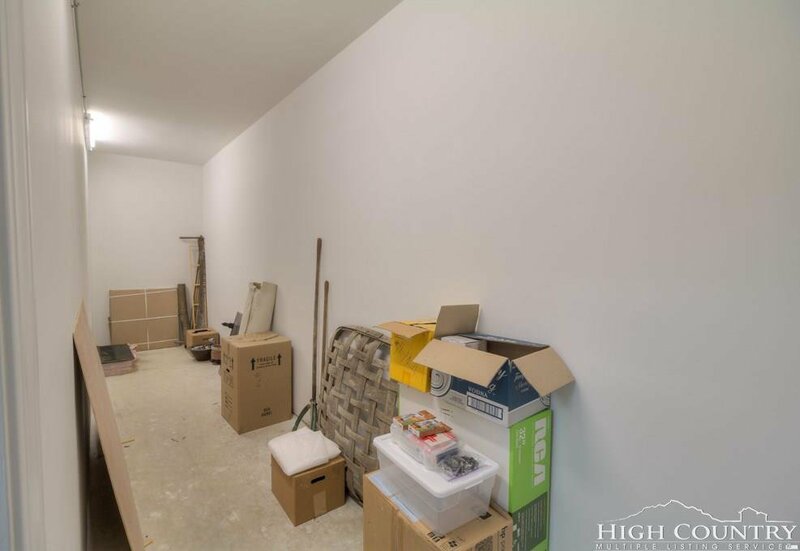 Brand new heat pump on main level! 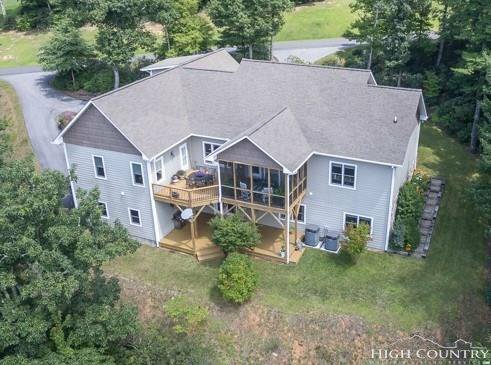 Listing courtesy of Keller Williams High Country Realty.